We are days away from Thanksgiving and time is a-tickin'! 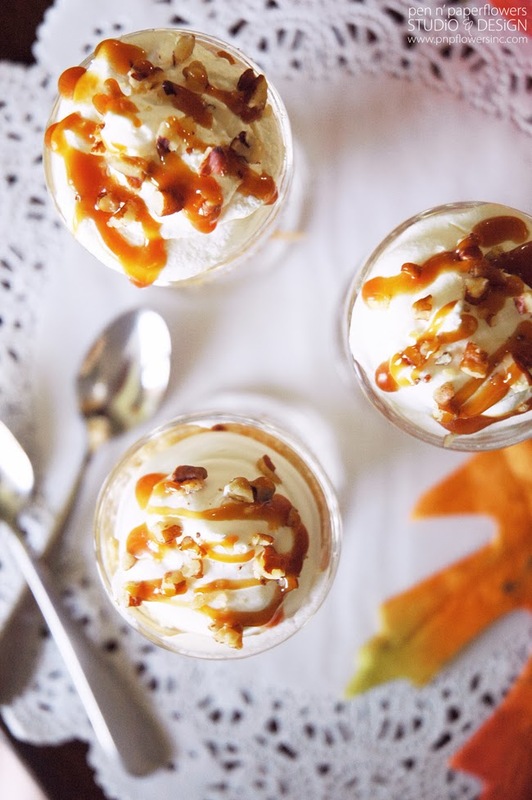 If you haven't quite figured out what you want to make for dessert yet or maybe you've been scouring Pinterest for something super simple but with some "wow" factor…stop looking. This is it. I'm back with another "deconstructed" dessert idea that's soooo easy it just might be illegal. Place approximately one heaping TBSP. of crushed cookies into your mini cups or dessert bowls. Drizzle on some caramel. 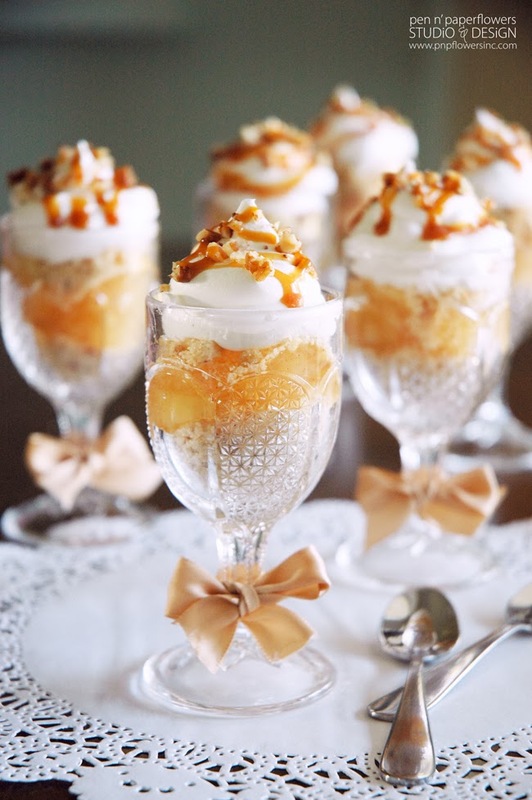 (just because I like a little caramel surprise at the top AND bottom of my dessert). Top with about 1 TBSP. of cinnamon apples. 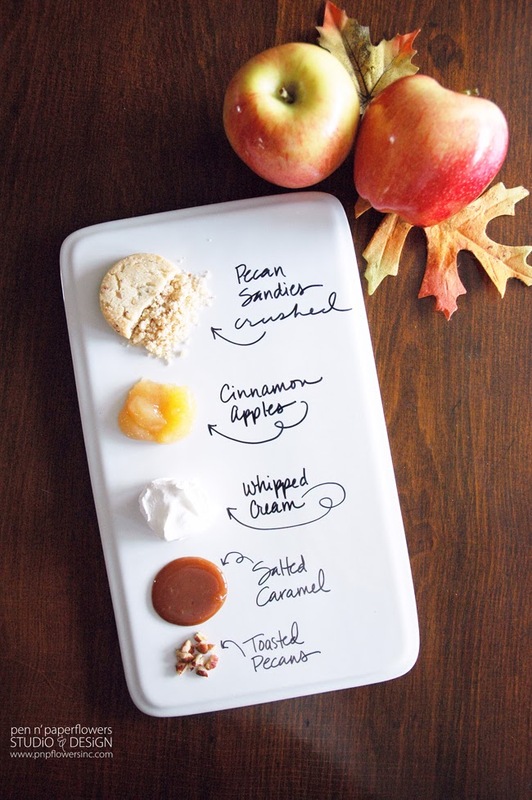 Cover the apples with a thin layer of crushed cookies. Add a dollop of whipped cream. Sprinkle with pecans and drizzle on the caramel. Sprinkle on a small bit of fleur de del (or coarse sea salt) to add a salty vs. sweet component to your dessert. 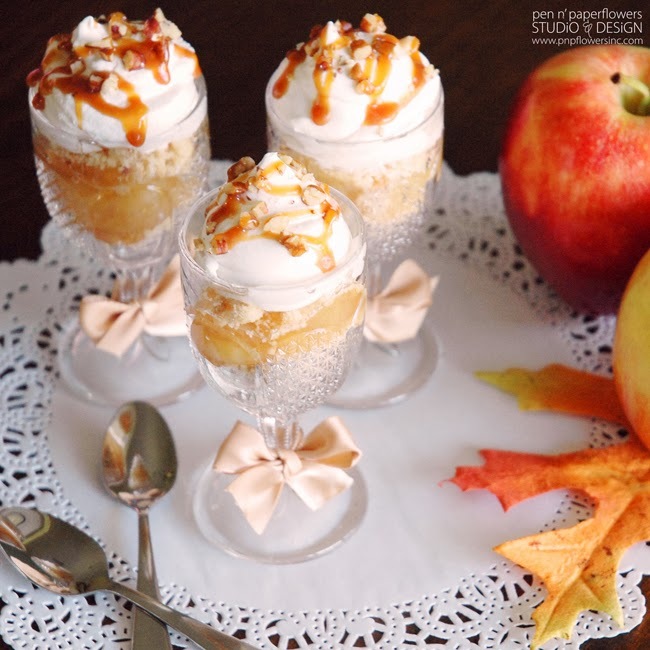 Hot Apple Pie - warm the Cinnamon Apples in the oven for 10-15 at 350º before assembling. Pipe on the whipped topping instead of spooning it on for a more "refined" finish. Ziploc bag with the end snipped off works just fine. Warm the Hot Caramel prior to drizzling for a thinner garnish. I put mine in a plastic bottle with a fine screw-on tip to make drizzling easier. Another ziploc bag with a tiny corner snipped off would work just as well. 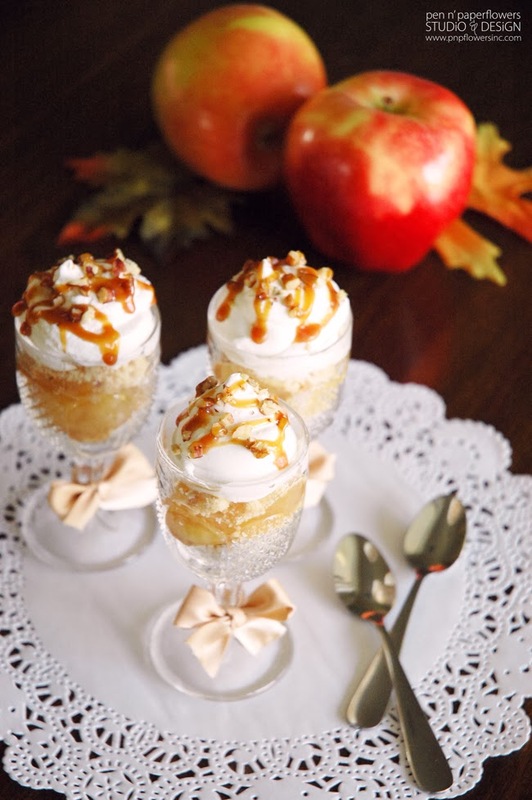 If you are up for it and have the time, you can absolutely recreate a completely homemade version of these Mini Salted Caramel Apple Pies by baking your own batch of pecan sandies, cooking up your own cinnamon apples, whipping up your own "cool whip" and making a batch of homemade caramel. I can only imagine how much more yummy these would be!! If I had the time - I'd go for it! If you missed it previously, here's ANOTHER DECONSTRUCTED DESSERT IDEA! LOVING the photos of Ella's birthday party! Hoping to have some extra time to finish going through them all so I can share them soon! Sooo looking forward to sharing those along with some other pretty pictures I took this past weekend of my little Ella Pie.